With a population estimated to be just over 700,000, Wiltshire is a county in southern England. There’s a huge variety of housing across the region, with something to suit your needs whatever your budget and taste might be. At My Home Move Conveyancing we’ve been developing our knowledge of property markets like the one in Wiltshire since 2001, enabling us to bring our clients in the county an outstanding specialist, fixed fee conveyancing service. You’ll need to instruct property lawyers to complete the legal work on your behalf when buying or selling property in Wiltshire. 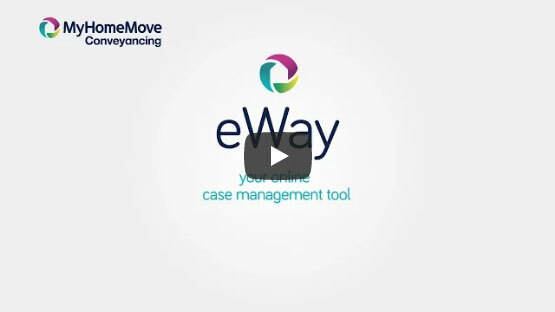 Choose My Home Move Conveyancing to be your Wiltshire conveyancers and make the most of our market-leading customer service. We combine this with a revolutionary use of technology to deliver more completions per year than any of our competitors. Our conveyancing service comes for a fixed fee, and will be delivered to the highest standards. Moreover, if you don’t end up moving for some reason, you won’t have to pay us anything as we offer a ‘no completion – no fee’ policy. We’ll assign you a dedicated conveyancer, who’ll act on your behalf from start to finish. You’ll receive regular updates on the progress of your case, while enjoying a consistent point of contact and a high level of expertise. You’ll even have online access to your account, so you can check up on things at a time that’s best for you. At My Home Move Conveyancing we’re delighted to supply our professional conveyancing services in Wiltshire to homebuyers across the local area, from those looking for something in places like Chippenham, Salisbury, Swindon and Warminster, or in county town Trowbridge. Over the last 12 months, the overall average price of properties sold in Wiltshire was £268,224. At £711,489, Whiteparish was the most expensive area, while Melksham was the cheapest at £207,819. Terraced properties were involved in the most sales across the county, going for an average of £209,551, while detached houses fetched £392,425 and semis sold for £253,609. The landlocked county of Wiltshire borders Dorset, Somerset, Hampshire, Gloucestershire, Oxfordshire and Berkshire in South West England. With lots of beautiful natural landscapes to explore, the county’s also famous for being the home of Stonehenge, which is on the Salisbury Plain. There’s a wide range of places to live in Wiltshire, whether you want to be in the rural countryside, or in a larger settlement like the county’s only city, Salisbury. The South West isn’t known for its transport links, but things don’t feel too remote in Wiltshire. The M4 is the only motorway that passes through the region, as it makes its way through the north of Wiltshire between Bristol and Swindon. There’s a decent enough network of train stations and bus services to help you get around, while the nearest airport is Bristol’s. There’s a wide range of schools to choose between if you have children to think of, including around 30 publicly funded secondary schools like Warminster Kingdown. There are another 13 independent secondaries, such as Marlborough College, while most towns and villages have primary schools to take advantage of. There are no outright universities in the county, but facilities such as Swindon’s New College and Wiltshire College provide further education.